As a follow-up to our last blog on remodeling your kitchen, another important consideration for your countertops is the material you choose. 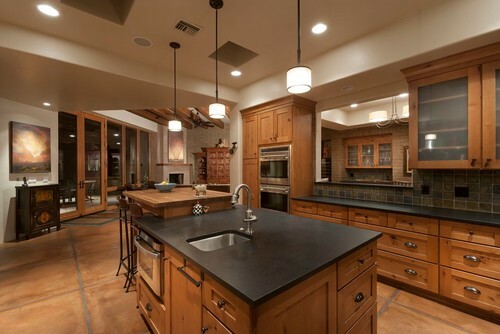 This choice can be challenging, since there are numerous options available, from traditional butcher block to more unique materials, such as exotic stones, stainless steel, and glass. But we are here to help you pick the perfect surface and coloring that will highlight your unique taste and accentuate the beauty of any room where countertops are present. One of the primary benefits of a stainless-steel countertop is its ability to reflect light within the room where it is installed. This same ability is particularly effective in rooms where there is little or no natural light, but can also add a gentle brilliance to rooms where sunlight is abundant. 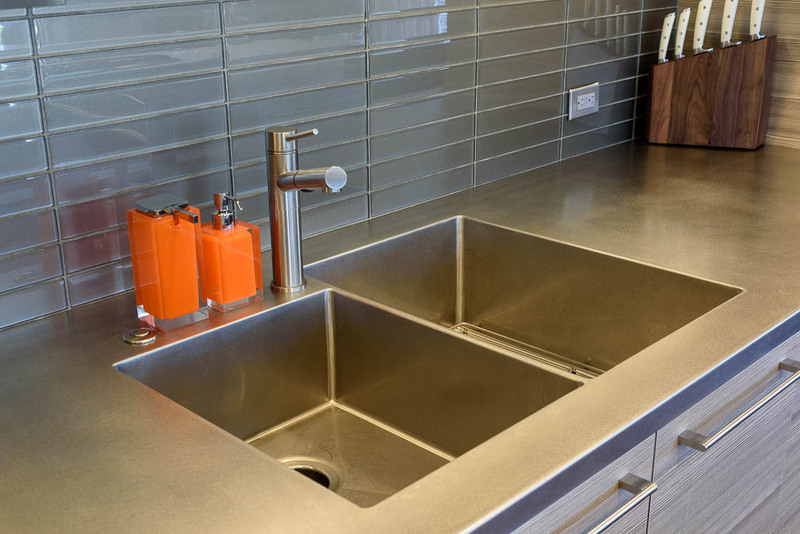 Stainless steel is one of the most hygienic materials available, and if maintained reasonably well, can be cleaned using nothing but mild soap and water. Further, stainless steel has a protective coating that will not bleed any taste into foods being prepped on the surface. 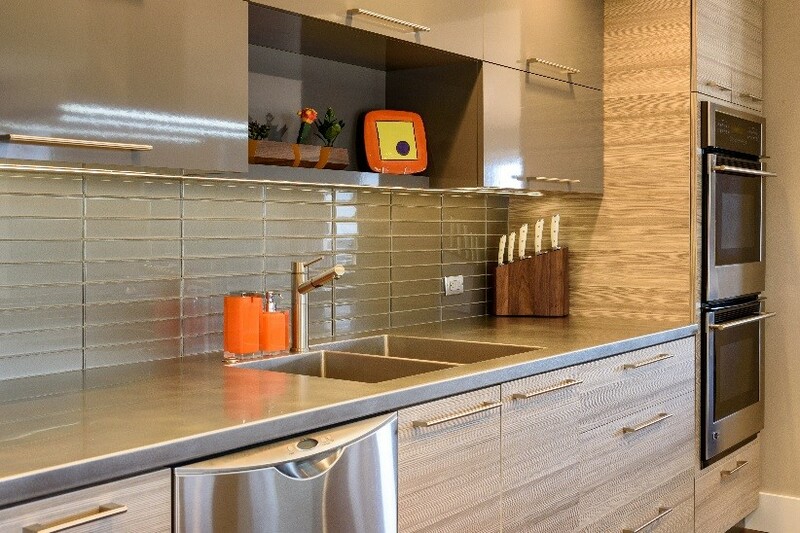 Stainless steel also can be the best value option over the course of a countertop's lifetime. Quartzite is a very hard metamorphic rock that originated as sandstone. Through a process of heating and pressurization, sandstone is transformed into quartzite, an extremely strong and durable natural stone. When heated, individual quartz pieces recrystallize, giving the surface a beautiful and decorative sparkling pattern. Quartzite is ideal for any countertop surface due to its strength and long-lasting composition. 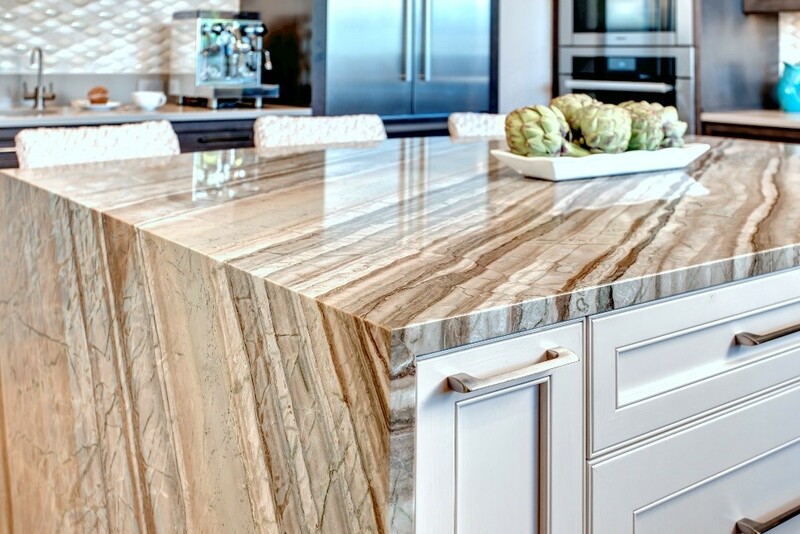 Consider a quartzite countertop for its strength, beauty, and overall durability. It also provides a luxurious depth that is lacking in more solid surfaces. Quartzite is as durable as granite and concrete, and it is even more resistant to chipping and cracking. As well, it doesn't have the same hardness to the touch that some people find unpleasant. Since it is non-porous, it resists staining better than many of the more common alternatives - and this non-porous quality also lends itself to increased cleanliness. One of the main reasons granite is popular is due to its durability and the variety of colors and patterns available. However, one unique granite color - black - can personalize a countertop in a way that simply is not possible with any other substance. Many homeowners avoid a dominating black in their home dcor, but the uniquely powerful yet soft image of black granite can provide a stunning visual effect in the right kitchen or bathroom. Properly incorporating black granite into your remodeling project can add a compelling sense of depth in an otherwise flat surface. Using black granite also can help accentuate lighter colors within your differing designs, especially if used in such a way that it provides a sense of continuity as you move from one room to another. Another option - silver pearl granite - offers a beautiful contrast of silver mica on black stone that, when used skillfully, resembles stars in the night sky. With such an array of possibilities available, we are ready to help you select the perfect countertops to add that final, personalized touch to your remodeling project - a touch that will set your house apart from all others and showcase your own unique personality and taste. You can live in spaces that reflect who you are, not just places where you cook, eat, and unwind - making your house truly your home. As a follow-up to our last blog on remodeling your kitchen, another important consideration for your countertops is the material you choose.